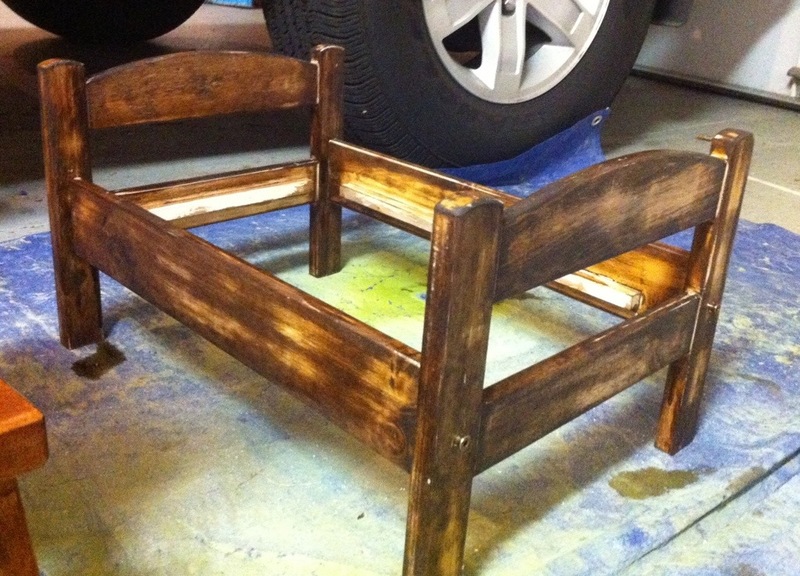 So remember the other day when I showed you my little doll bed from Ikea? And I tried to sand and stain it? Finally ended up spray painting it with something I found in the garage. Then I distressed it slightly with sand paper. Finally, I like it! 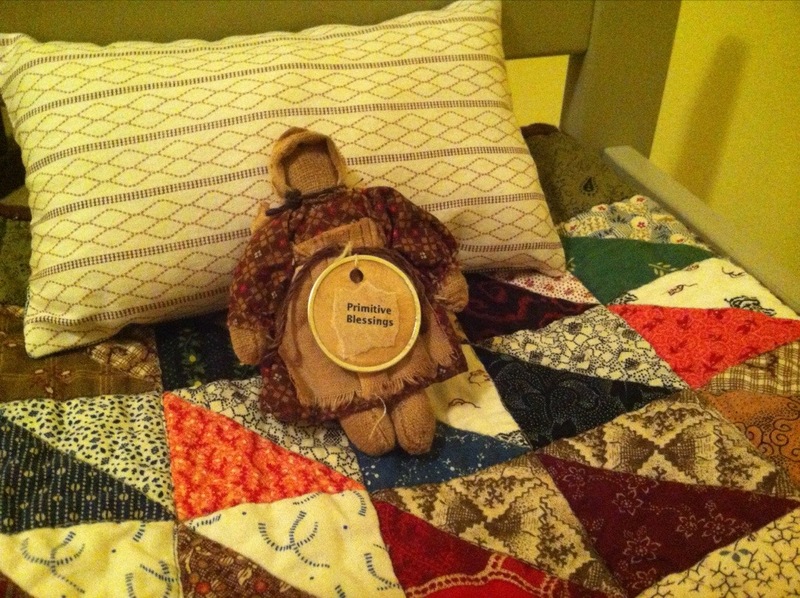 My little prim doll from my swap partner, Judith in Wales, found a cozy home here on my ugly triangles quilt. Isn’t she adorable? This little quilt was the result of a challenge on the Small Quilt Talk Yahoo Group. The pillow is made from vintage fabrics, a different one on each side, just because. 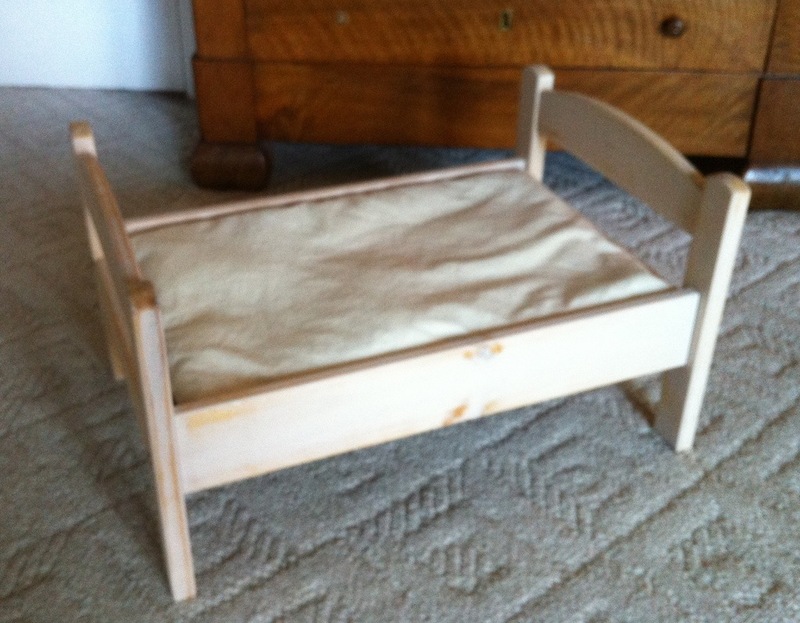 This was a lot of learning experience for such a tiny little bed! I do love it in my new guest room. This entry was posted in Civil War Repro Quilts, Doll Quilts, Home projects, Miniature. Bookmark the permalink. Great choice to paint your be. Thanks for sharing your photo. Enjoy changing the quilts! This is delightful! 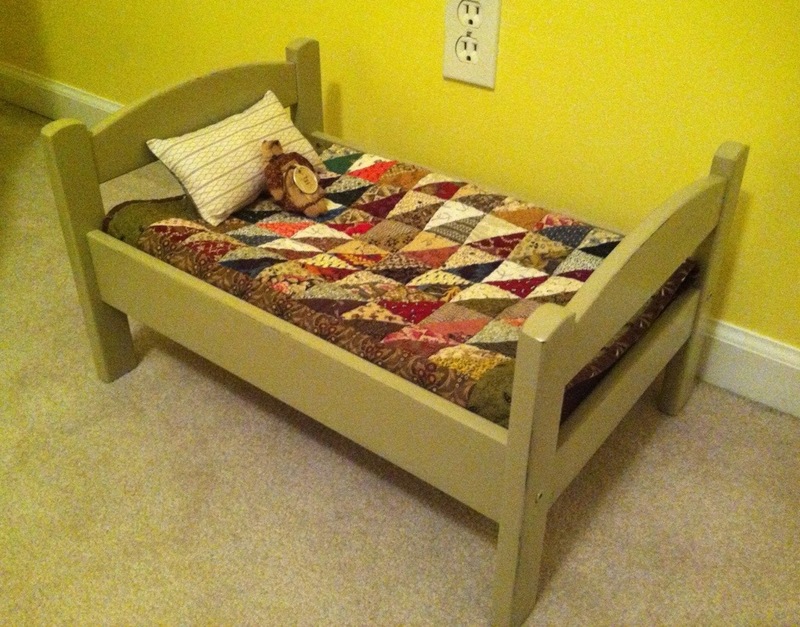 Your little quilt really “makes” the bed! The dolly is cute, too. It looks great Katy.. Love it painted a lot better than stained. It looks fabulous! Very well done. They were made for each other! Great work and beautiful pairing.